While the recession may not be giving most people any sort of opportunities, fathers may want to use the current state of the economy as a way to put their parenting skills to the test. Some fathers are using the general public’s attitude of saving money to teach their children about fiscal responsibilities through allowance, the Associated Press reports. Kevin McLaughlin, a 33-year-old from New Jersey, told the news provider he has been working to teach his 8-year-old daughter Chloe about the importance of saving for a rainy day. "We see a lot of people having trouble financially these days, and that made us think about instilling discipline in them early," McLaughlin said. 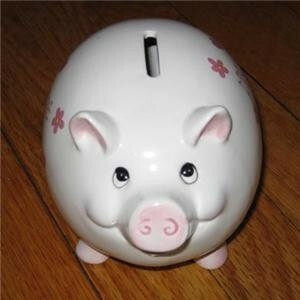 Fathers interested in teaching their children about saving money may want to start by purchasing a piggy bank and explaining the advantages of putting a set amount away. It may even be worthwhile to have them save toward a bigger purchase to give them motivation. While some parents offer an allowance for children to do their chores, some parents have shied away from that practice, saving the weekly payment for tasks that go above and beyond chores.